'Off the shelf' Knee replacements are a perfectly good solution for the vast majority of patients. 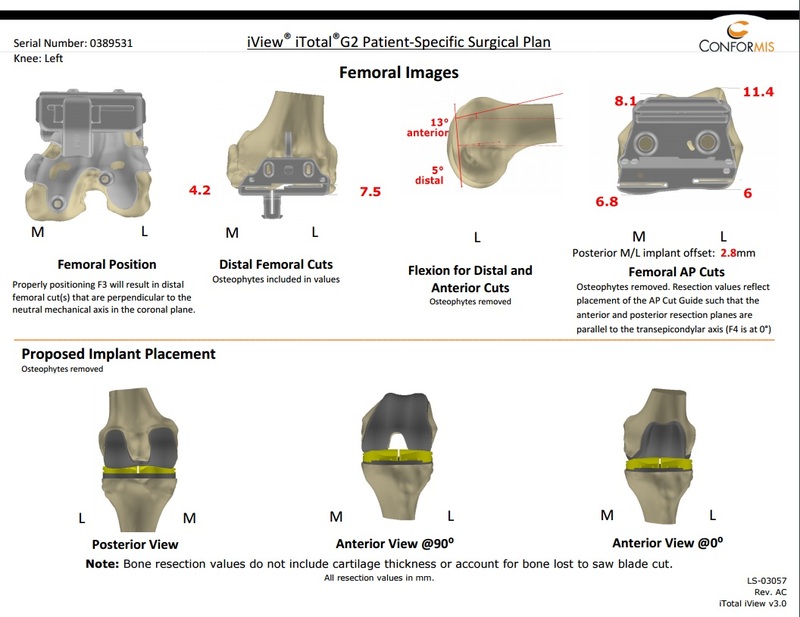 However, some patients simply prefer a completely bespoke knee replacement which is designed with computer aided planing and 3D Ct Scanning to produce a partial or total knee replacement that perfectly matches the patients anatomy. 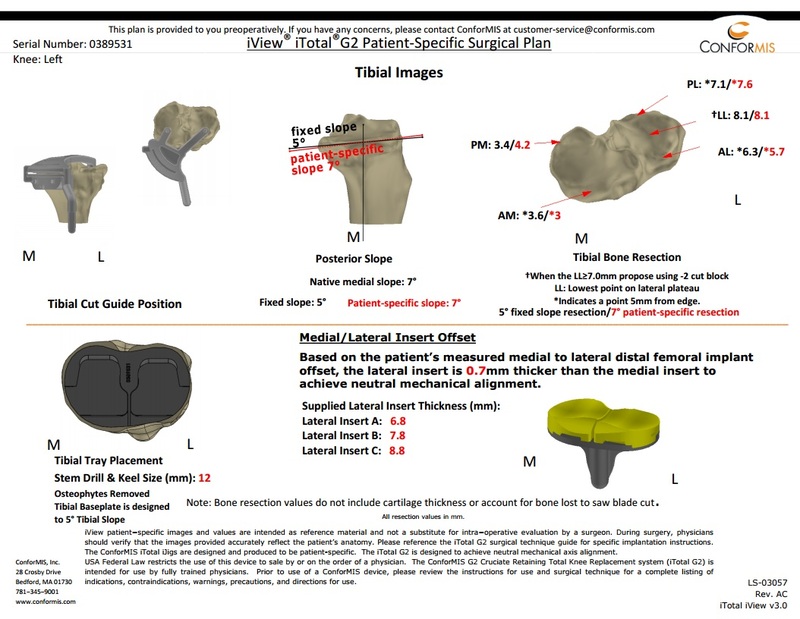 Reproducible surgical technique using disposable pre-navigated iJig® instrumentation and iView surgical planning images that can be used to verify accuracy throughout the surgery.